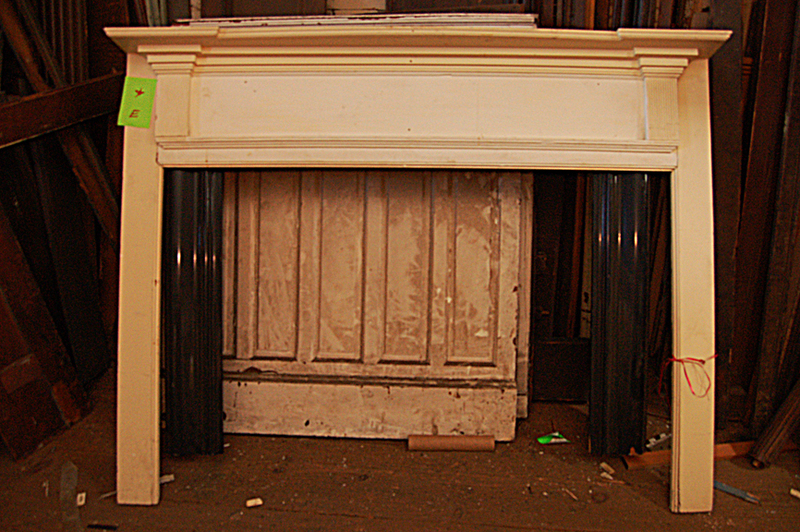 WE OFFER A GREAT SELECTION OF INTERESTING FIREPLACE MANTELS. 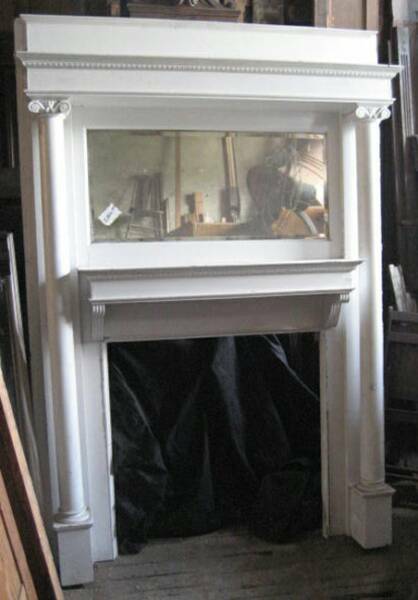 WE REGULARLY POST NEWLY ARRIVED MANTELS AND WE CAN ARRANGE PACKING AND SHIPPING ANYWHERE. 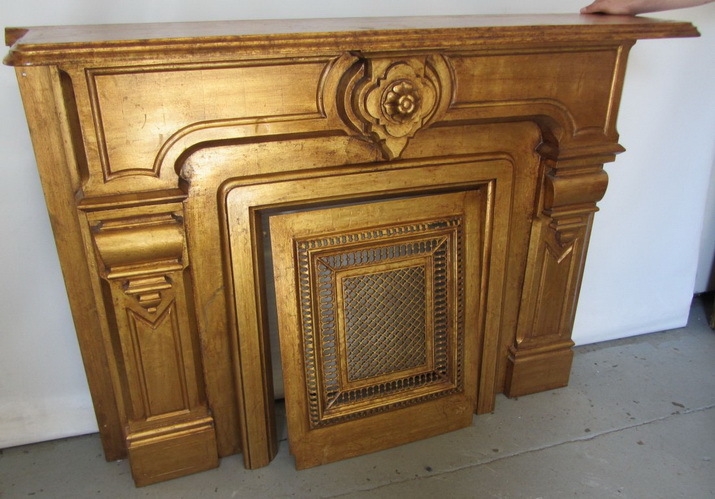 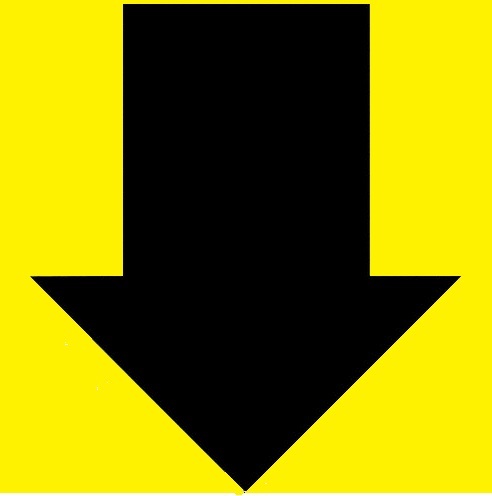 WE DO NOT OFFER REFINISHING NOR INSTALLATION. 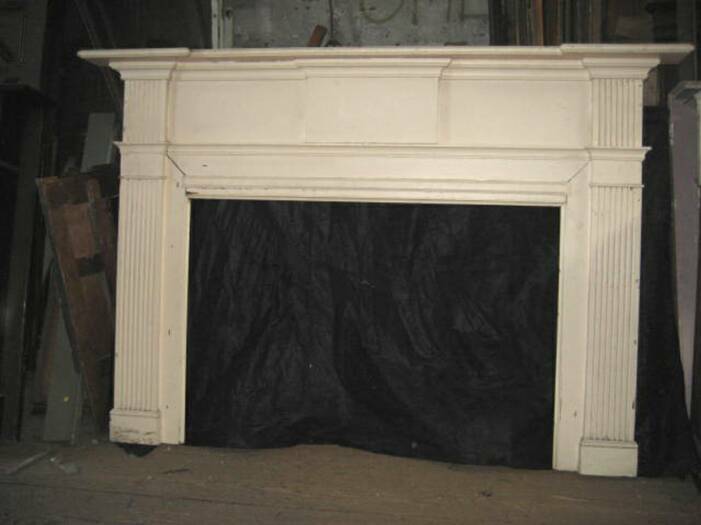 PLEASE EXPLORE ALL OF OUR FIREPLACE MANTEL CATEGORIES . 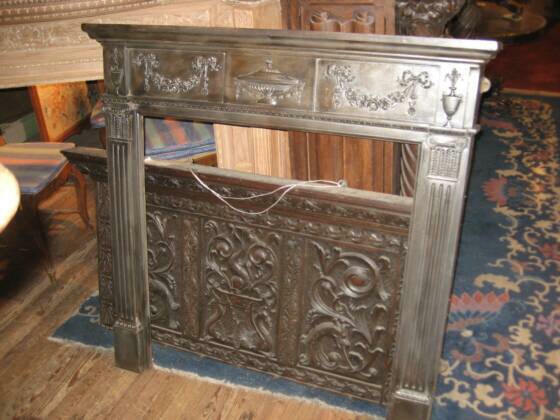 WE HAVE ORIGINAL MANTELS IN CARVED WOOD, AS WELL AS CARVED STONE, "CAST" STONE, METAL, AND HAND-CARVED MARBLE. 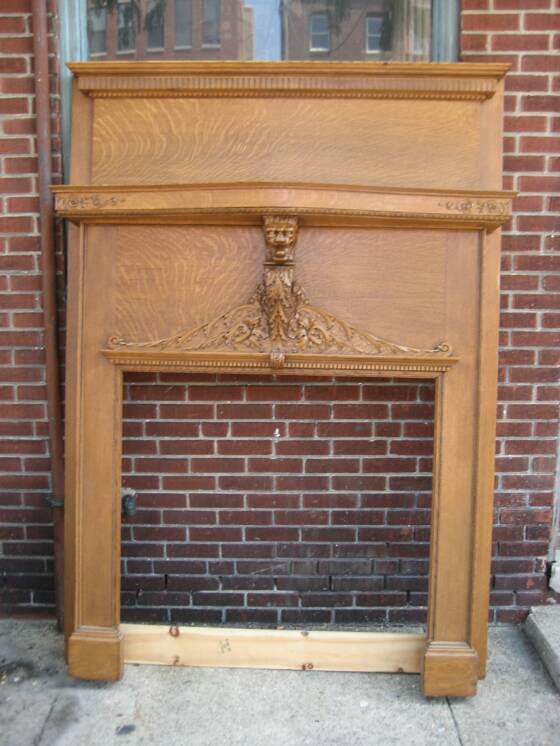 OUR AMERICAN WOOD MANTELS ARE RECLAIMED FROM TOWNHOUSES AND MANSIONS IN PHILADELPHIA AND OTHER MAJOR HISTORICAL CITIES. 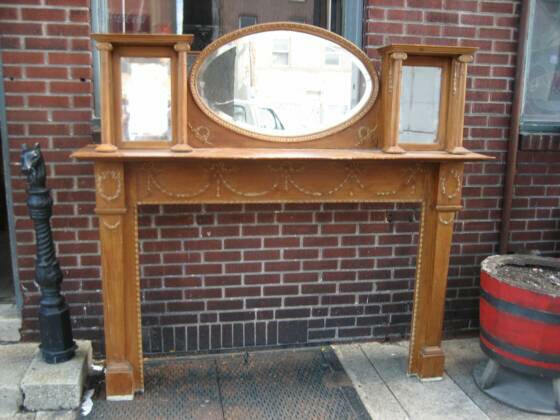 OUR MANTELS ARE FOUND IN OAK, WALNUT, CHERRY, AND PINE. 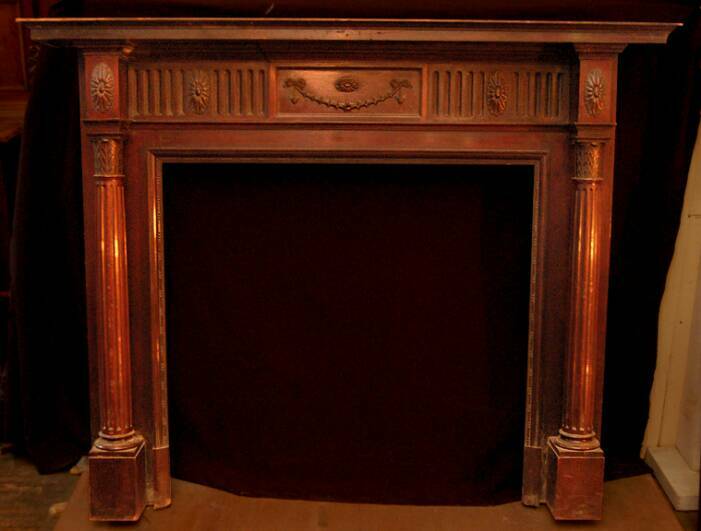 OUR EUROPEAN MANTELS ONCE GRACED THE FIREPLACES IN CHATEAUS AND TOWNHOUSES IN THE GREAT CITIES OF BELGIUM, FRANCE, AND ENGLAND. 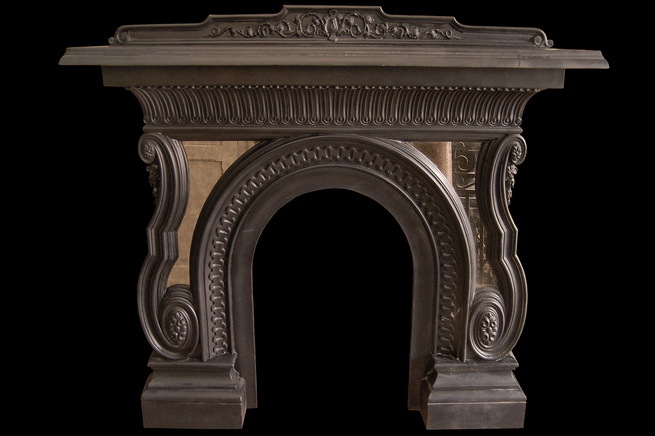 THE STYLES RANGE FROM BEAUTIFUL EUROPEAN MANTELS WITH FRENCH , GOTHIC REVIVAL , ROCOCO , AND RENAISSANCE CARVINGS, TO THE MORE TRADITIONAL CLASSICAL CARVINGS. 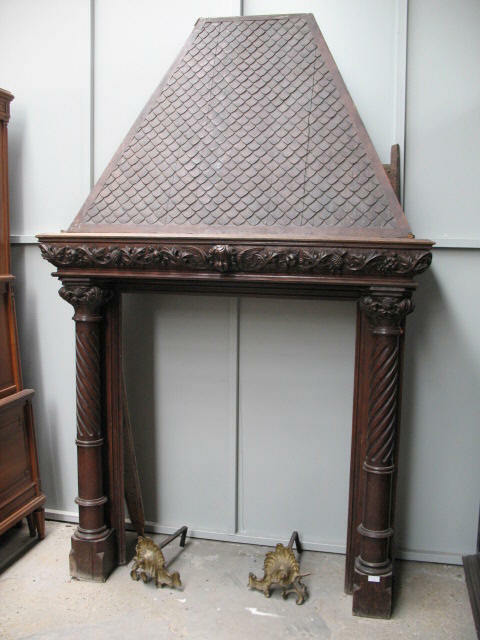 SOME MANTELS EVEN HAVE CARVED FIGURES, LIONS AND GRIFFONS! 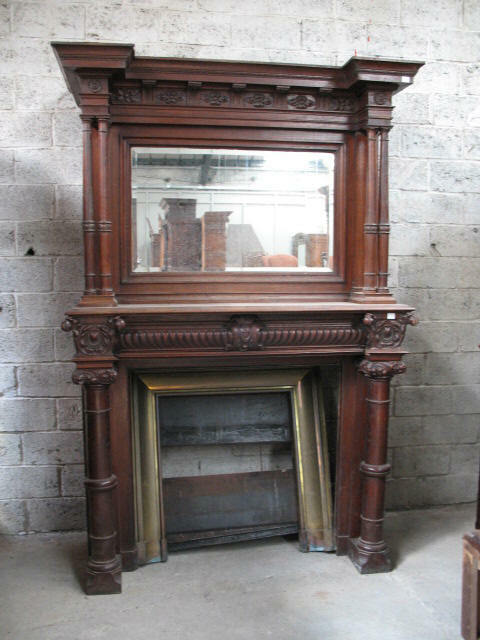 THE AMERICAN MANTELS ARE TYPICALLY VICTORIAN, CLASSICAL, GEORGIAN, AS WELL AS SOME SIMPLER EARLY AMERICAN MANTELS. 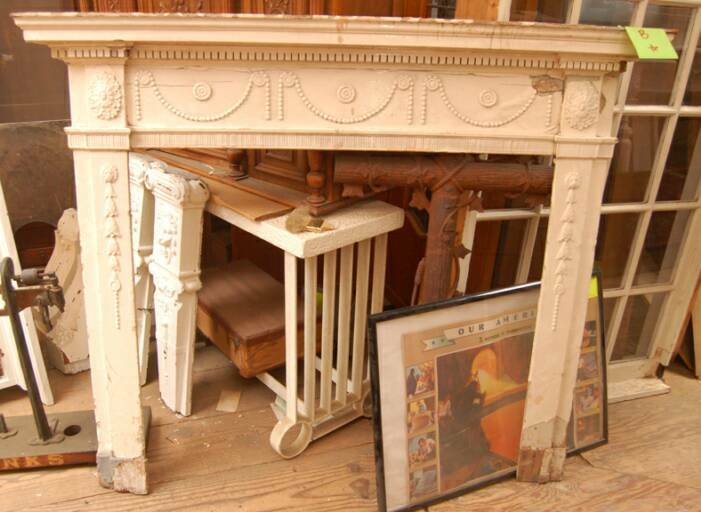 WE WILL RESTORE MOLDINGS AS NEEDED, AND UPGRADE FINISHES IF NECESSARY. 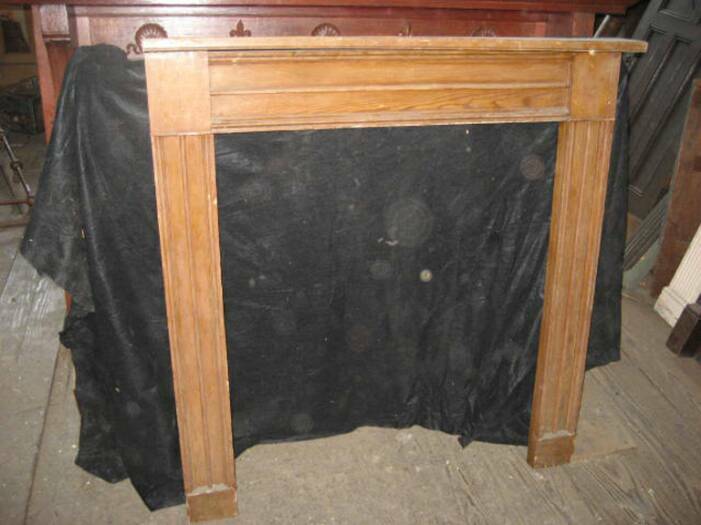 IN MANY CASES, MANTEL OPENING SIZES CAN BE INCREASED OR DECREASED WITH SKILLFUL CARPENTRY. 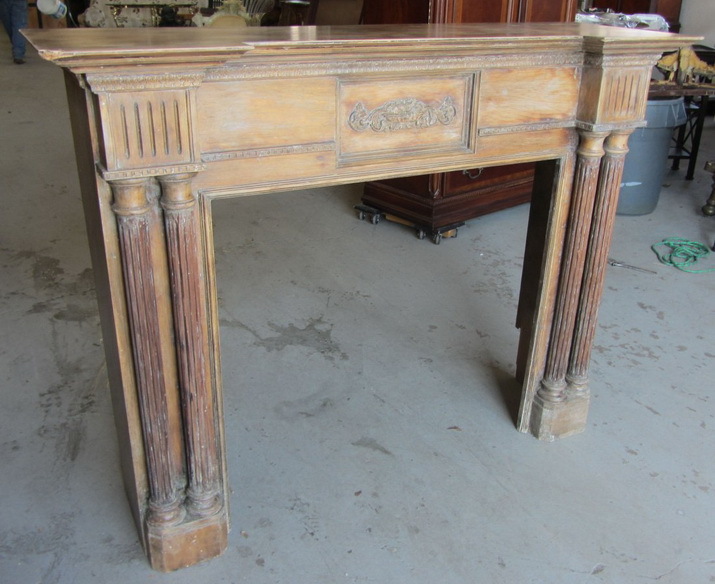 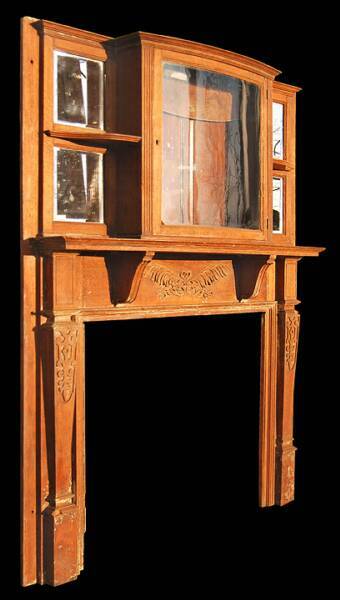 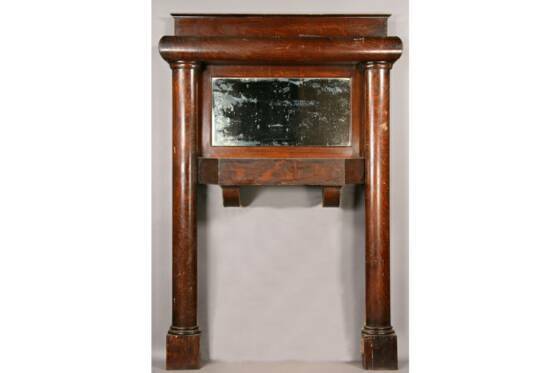 WE HAVE WONDERFUL REPRODUCTIONS OF AMERICAN, ENGLISH AND FRENCH ANTIQUE MANTELS. 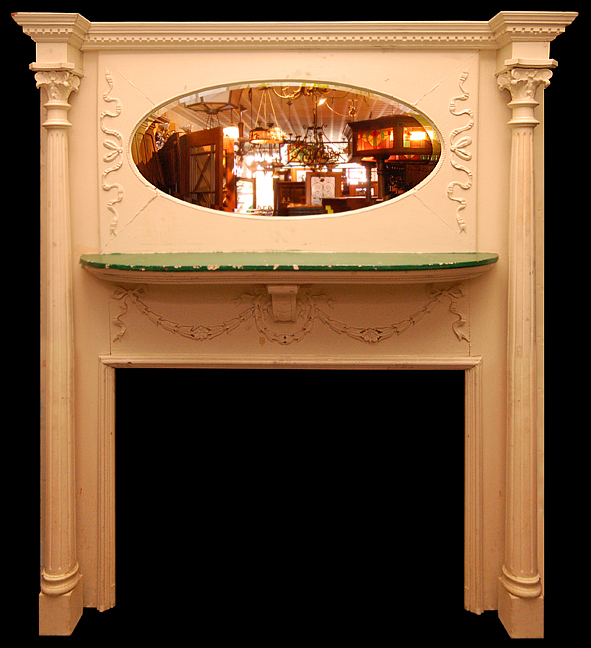 PLEASE E- MAIL US FOR INFORMATION AND PRICING.